If you’ve been following the news around Apple’s new HomePod, chances are, you’re already aware of HomePod’s white ring problem. And guess what? It took less than 24-hours for a company to capitalize on the HomePod’s bizarre flaw. 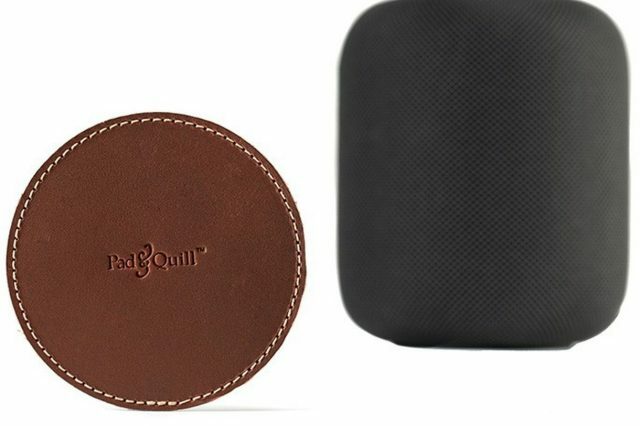 Pad & Quill, a luxury iPhone case manufacturer, has already launched a coaster for HomePod. It’s called the Leather HomePod Coaster, and the company claims that it can put an end to your HomePod nightmare for $19.95. The coaster is already available for pre-order; however, it is unclear when the company will start shipping them. It is highly possible that people visiting their website to buy HomePod coaster would have checked out or even purchased some other products like the iPhone cases, Apple Watch wooden stand, etc. In case you don’t want to spend more money on HomePod and buy a $20 coaster, you can just move the speaker to another surface like Apple suggests. Yes, Apple has updated their HomePod support page and have suggested moving the HomePod to a different surface. According to the company, the marks can be caused by oils diffusing between the silicone base and the table surface.